Welcome to Kent State Fraternity & Sorority Life! Fraternity and Sorority Life has been in existence on college and university campuses across our country for over 100 years. Their traditions and rich history are examples of the excellence and the contributions they make. Fraternity and Sorority Life is one of the many opportunities for involvement and growth available for students at Kent State University. Many students develop lifelong friendships through Fraternity and Sorority Life. And most important, you’ll become a special part of the Kent State community – one that fits your interests and goals. In a sorority or fraternity, you can take part in community service, philanthropy, leadership, academic success and much more. 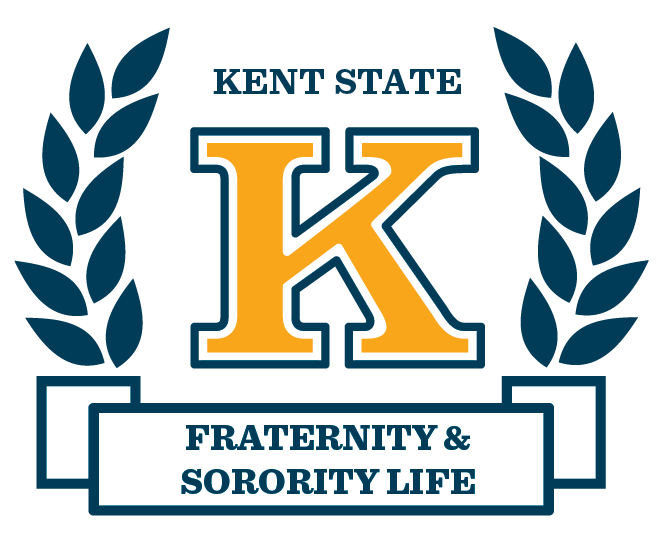 Take time to explore our Fraternity and Sorority community here at Kent State University by visiting the websites of each of our communities below. Each site will give you information about each fraternity and sorority on campus, and will lead you to a calendar of events held throughout the school year. We recommend that you attend community events to get to know members of the Fraternity and Sorority community. A decision to "Go Greek" could be the right decision for you! Fraternity and Sorority Life at Kent State University strives to be the best community in the country by encompassing a nurturing and inclusive environment for everyone to call home. We aim to emulate our five values: brotherhood/sisterhood, scholarship, philanthropy/service, leadership, and community. It is our goal to provide students with unique learning and social environments to enhance the collegiate experience by developing the leaders of tomorrow. 6. Promote social justice, equity, and inclusion for all. Interested in learning more? Subscribe to our mailing list! Follow the Center for Student Involvement on Twitter!